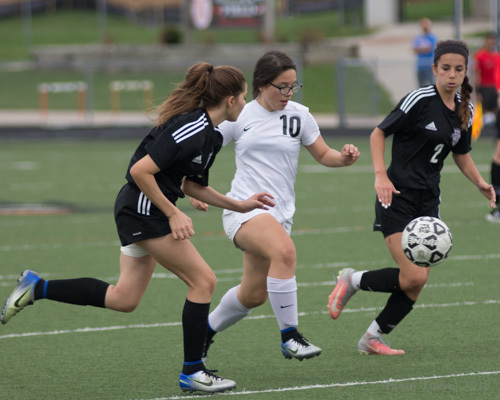 Pirates’ Wilson scores 2 in win over Bonner – Welcome to Wyandotte Daily! 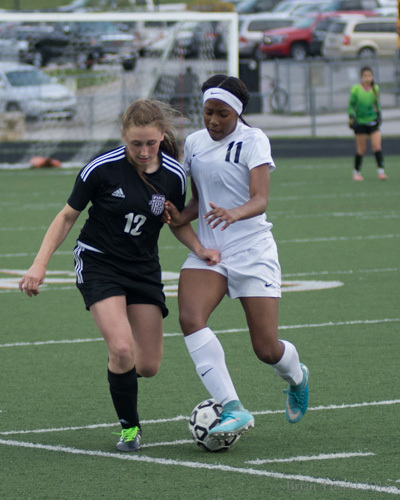 The Piper Lady Pirates soccer team faced off with the Bonner Springs Lady Braves on Tuesday evening and came away with a 2 – 1 victory. 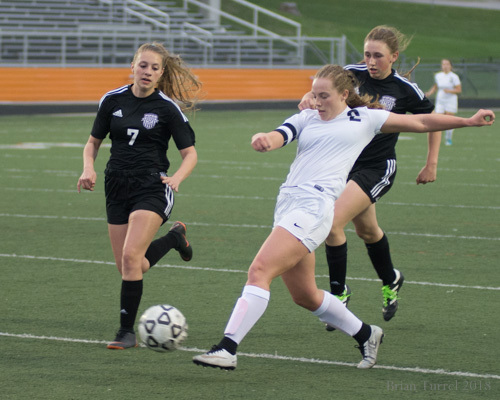 Piper senior Emily Wilson scored both goals in the win. 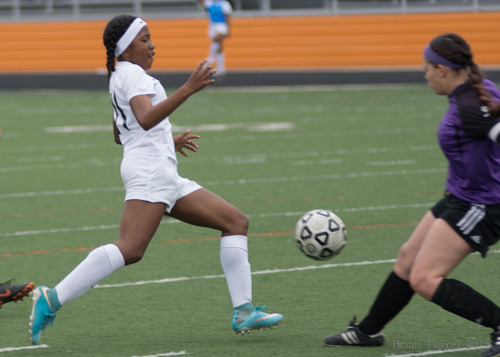 Bonner Springs opened the scoring with 15 minutes left in the first half. 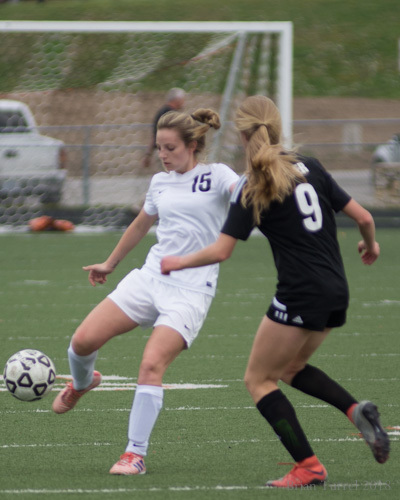 Senior Hope Seaton found a seam up the middle and outraced the Pirates’ defense to put herself one-on-one against Piper goalkeeper Emma Morgan. 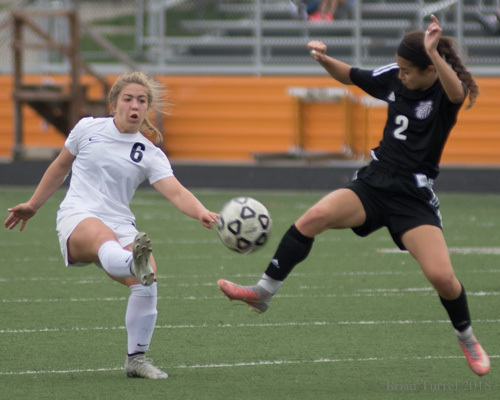 Piper nearly evened the game five minutes later, but a difficult save by Braves senior goalkeeper Martina Glenn kept Piper off the board temporarily. Piper finally cashed in with six minutes left in the half when Wilson picked up an errant pass in the Bonner backfield and sent it into the net. 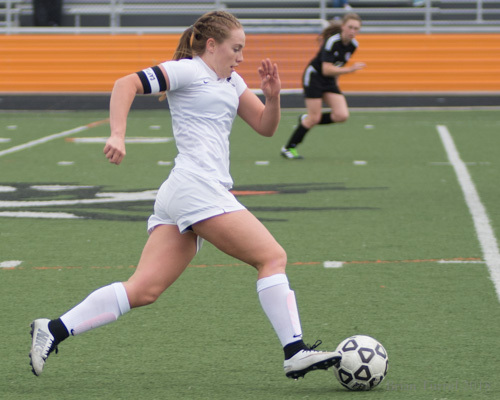 Wilson scored the game-winning goal early in the second half, chipping the ball past Glenn from close range. 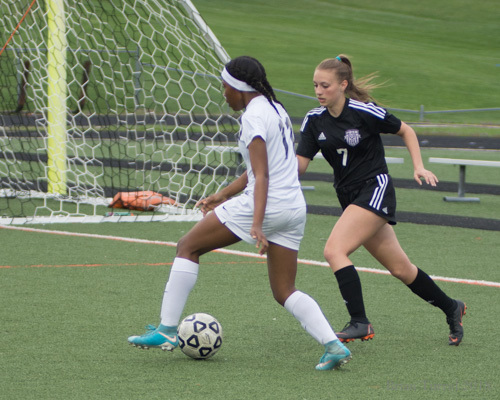 Piper backup goalkeeper Brianna Andrade closed out the game, coming on midway through the second half when Morgan collided with a Bonner player while making a save. 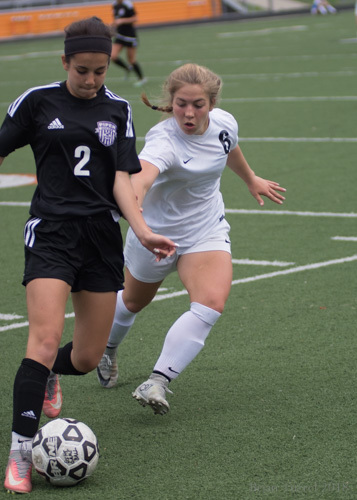 Bonner junior Sydni Bolewski nearly collected an equalizer against Andrade with 15 minutes remaining, but her shot from 12 yards glanced off the left post.